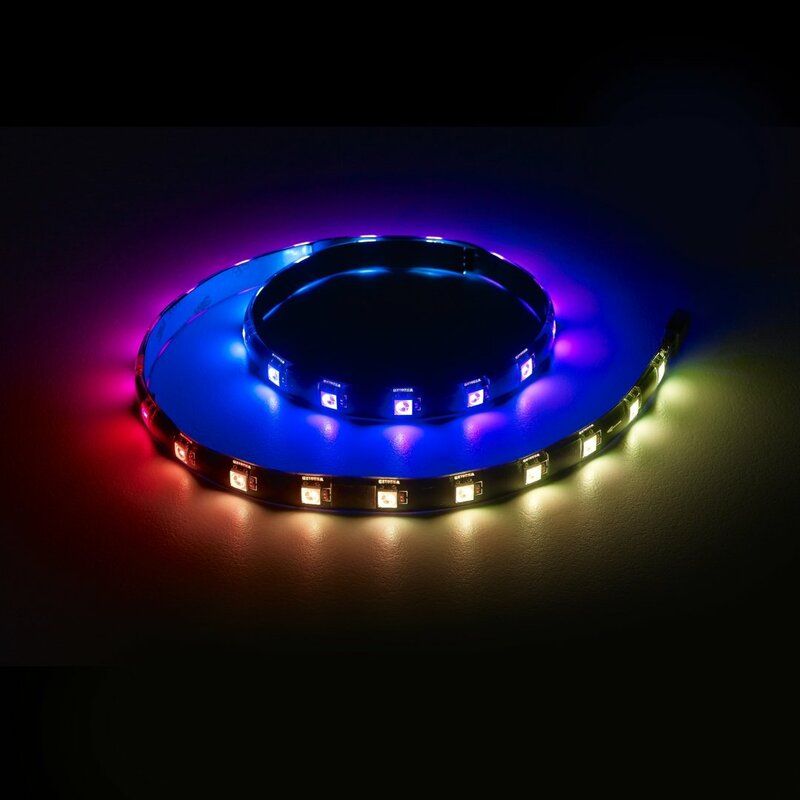 Since customization is the name of the game, CableMod WideBeam LED Strips come in several rich and vibrant colors. 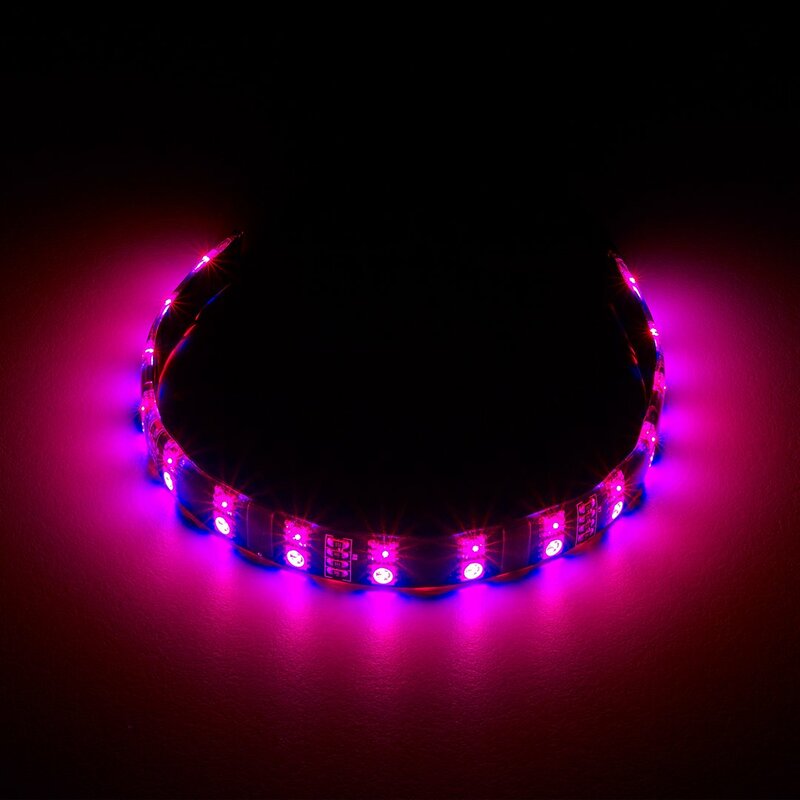 In addition to your classic colors like red, blue, green, and white, these LED strips also come in UV purple – perfect for highlighting your UV-reactive components. 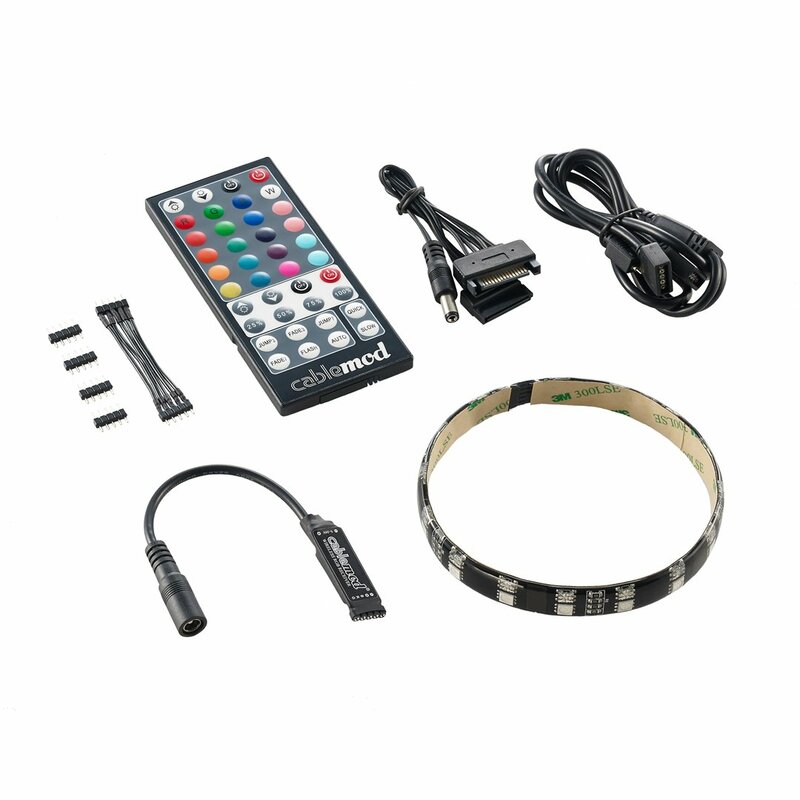 For those who want the ultimate control, these LED strips also come in RGB, complete with convenient remote control and IR receiver which allow you to run a variety of colors and light modes to suit your own style. 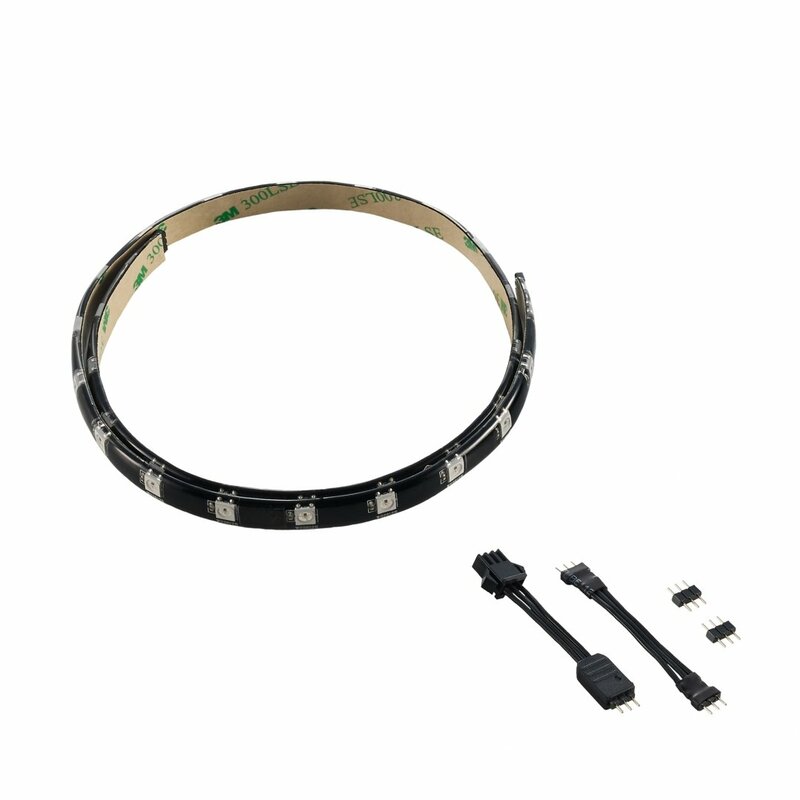 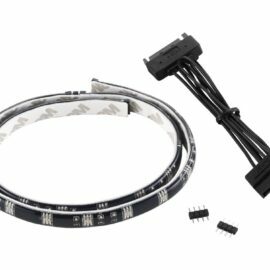 Easier to connect and more secure, CableMod WideBeam LED Strips come with a SATA power connector, perfect for today’s power supplies that come with many more SATA connectors than the traditional 4 pin Molex. And for extra large cases, CableMod WideBeam LED Strips are fully chainable, which means you can connect multiple LED strips together for an extra-long lighting solution. 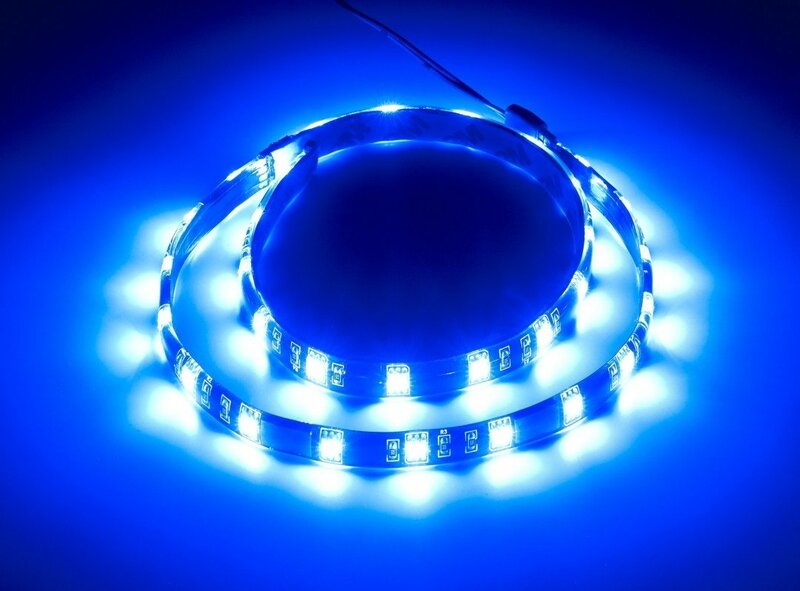 These are incredibly bright in the UV range, and make all my white and florescent/blacklight papers and wall posters glow brilliantly. The magnets work great on my steel computer case, and I also found they work great out of my case, having stuck one on my old metal torch light. 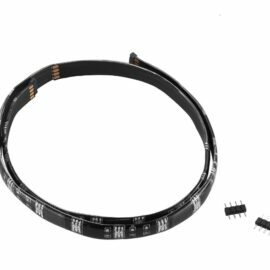 These will work fine with any 12V DC adapter/LED controller. 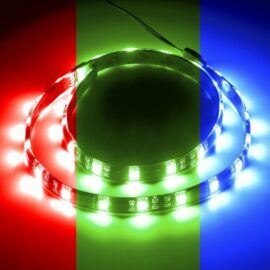 I put them on one that has a fade option, and it’s a nice effect.